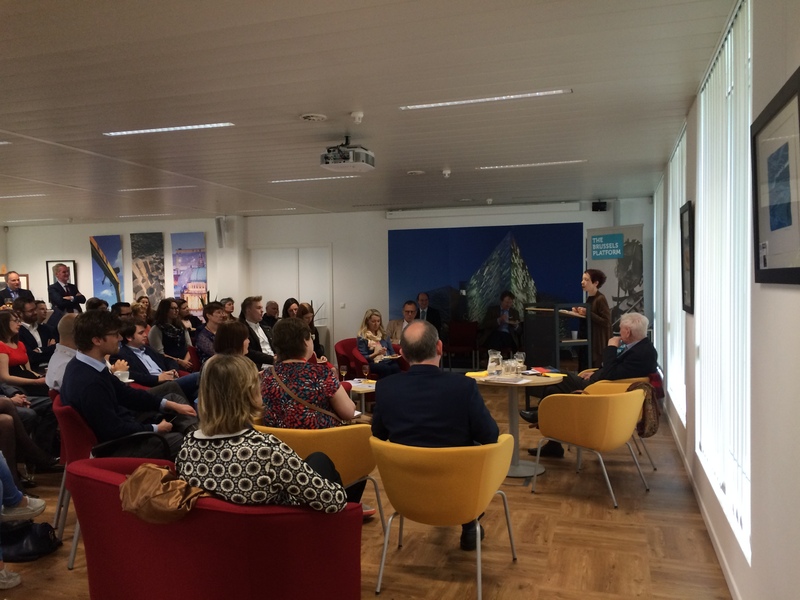 As part of the 2014-15 Culture Programme, on 29th May the Northern Ireland Executive Office, in partnership with the Arts Council of Northern Ireland, welcomed acclaimed Northern Irish poet John Montague and his wife, American writer Elizabeth Wassell to Brussels. A packed house of diplomats, guests from the European institutions, Permanent Representations, Regional Offices and various other Brussels-based organisations hung on to every word as the pair, in turn, performed extracts from their works and spoke with passion about the creative process. Montague’s dulcet tones and subtle humour coupled with Wassell’s delicate and charming manner made for a truly unique lunchtime of literature which was enjoyed by a hushed and spellbound audience. Once again we thank the Arts Council for their ongoing support!